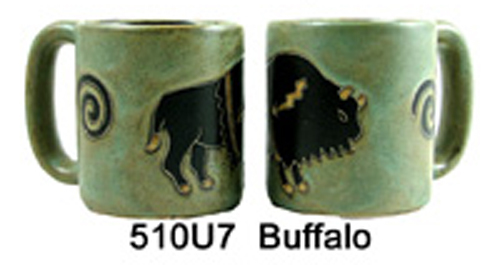 Ceramic coffee mugs are handmade by an artist and are refreshingly unique. Why just drink a cup of java when you can make it into an "experience" by drinking out of a well-made stoneware mug that also happens to be a functional piece of art? 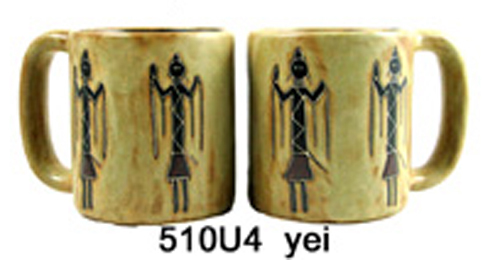 Since each mug is handmade, variations will occur. This means there could be variations which some might consider flaws, but this just adds to the personality of the coffee mug. 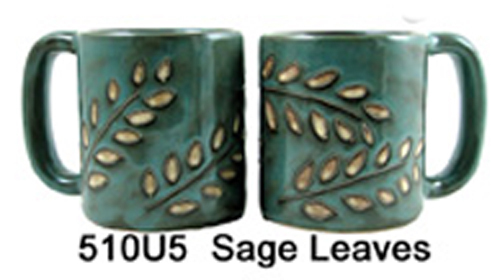 Since stoneware holds heat well, you can also use these mugs as travel coffee mugs. At 16 ounces, they will hold enough java to satisfy any coffee lover. Our suggestion: Warm up the mug first by filling it with water and putting it in the microwave (no, the handle will not get hot.) Then pour out the water and fill your mug with rich, hot coffee. If you purchase 4 or 6 of our ceramic coffee mugs, we will send you a complimentary coffee mug tree as long as you specify that you would like one with your order by making the proper selection below. Family Gift Idea: buy a different coffee mug for each member of the family to celebrate their unique personalities. Makes a great gift for a family: choose a different coffee mug for each person in the family to signify their uniqueness. 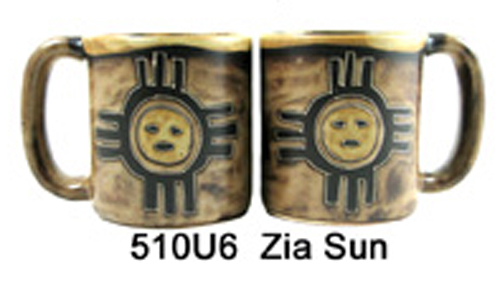 Price listed is per mug. 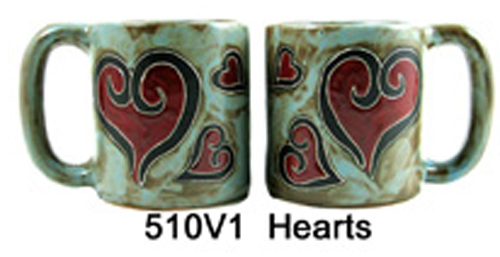 Remember, all our mugs are handmade by an artist, so variations will occur.